My guests and I sat in a Hawaiian-themed restaurant in Malibu overlooking the ocean. It was my 30th birthday party. We just got done eating our food. Then the waiter walks up to me, starts some Hawaiian music, and tells me to get up out of my seat. He tells me it's time to dance. I was embarrassed, but I followed his instructions. I danced for the next 10 minutes. 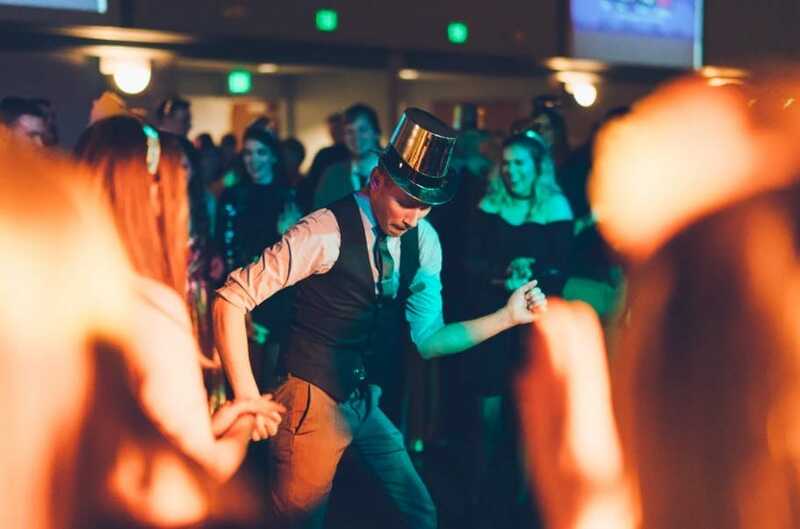 This impromptu dance was one of the most memorable events of my life. It was only 10 minutes, but in that short time, I felt like the most special person in the world! When it comes to 30th birthday ideas, it was a great one. 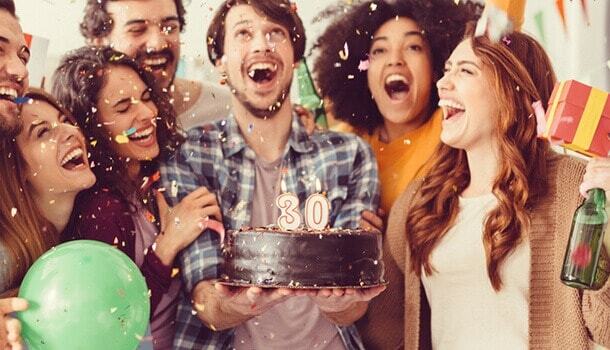 ​How Do 30th Birthday Parties Stand out from Other Birthday Parties? A 30th birthday party is a benchmark event in an adult's life. It can be easy to get caught up in details and making it perfect. However, when you consider picking one of the 30th birthday ideas, think about how special you will make the guest of honor feel. 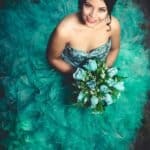 Many ideas for a 30th birthday exist, but when it comes to making the right decision, what matters most is picking an idea that makes the guest of honor happy. It may be an impromptu dance session in the middle of dinner! For many people, entering their 30s is the start of serious adulthood. They start to think about career changes, responsibilities, and settling down. The 30s are the start of a new decade and the first time that many adults become serious about their life. As a result, a lot of people celebrating their 30th birthday take the celebration seriously and want to make it as meaningful as possible. When you throw a party, there are some important things to consider to make it successful. The most important things to consider are the location, decorations, food and drinks, and if the party requires it, equipment. Think about what the guest of honor wants. Considering asking them what theme they want it to be. Out of all of the potential 30th birthday ideas, you want to pick the idea that the guest of honor will most enjoy. Here are some popular 30th birthday ideas for loved ones. We included the food and drinks, decorations, and any other preparations or equipment that was necessary for a successful party. A camping-themed party is a great pick from the possible 30th birthday ideas. It's a perfect choice for the outdoors-lover in your life. The first thing to consider for the party is refreshments. Some great ideas are a canoe drink holder, crescent dogs, and a campfire cake. Take an old canoe and fill it with ice and your choice of beverages. If you don't have a canoe, you can find one on Amazon. If buying a canoe is over your budget, then an ice party table is a great choice. For the crescent dogs, wrap hot dogs up in a crescent roll and roast them over a fire. Next, for the campfire cake, start by baking or purchasing a chocolate cake at your local grocery store or bakery. To make it a campfire cake, add toppings such as Twix bars, gummy bears, and a fire-shaped cookie. 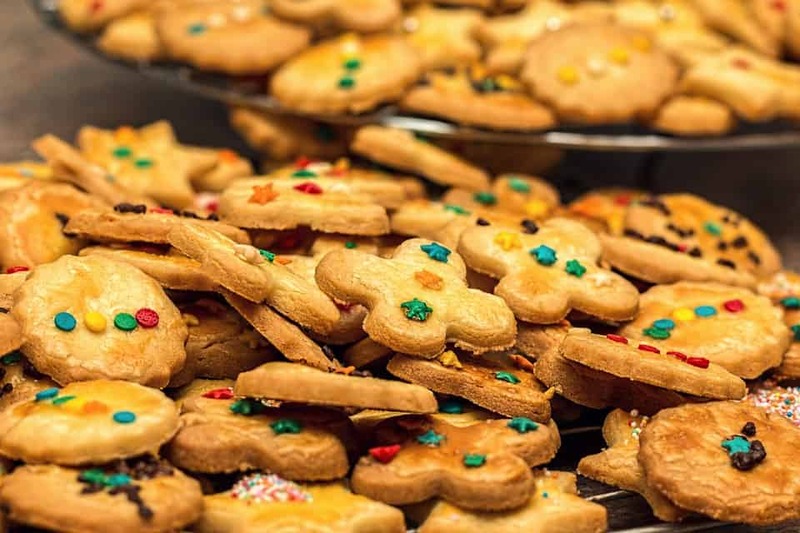 The easiest way to make fire-shaped cookies is to bake them yourself using a fire-shaped cookie cutter. Then, using food coloring, add a drawing of fire on each cookie, and place the cookie on top of the cake. This added feature lends to the campfire theme and makes the party fun when it's time to blow out the candles. Some other ideas for the party are pine cone garlands, "make your own trail mix," tent and campfire treats, and a fire starter kit. Lastly, no campfire party is complete without s'mores. Mix it up with a s'mores display with customized chocolate wrappers and s'mores blossom cookies. To make the s'mores display, start with a s'mores kit. Then customize the chocolate bar labels with your personal wrapper. To display your work of art, pick a tray that will have compartments for the chocolate bars, graham crackers, and marshmallows. 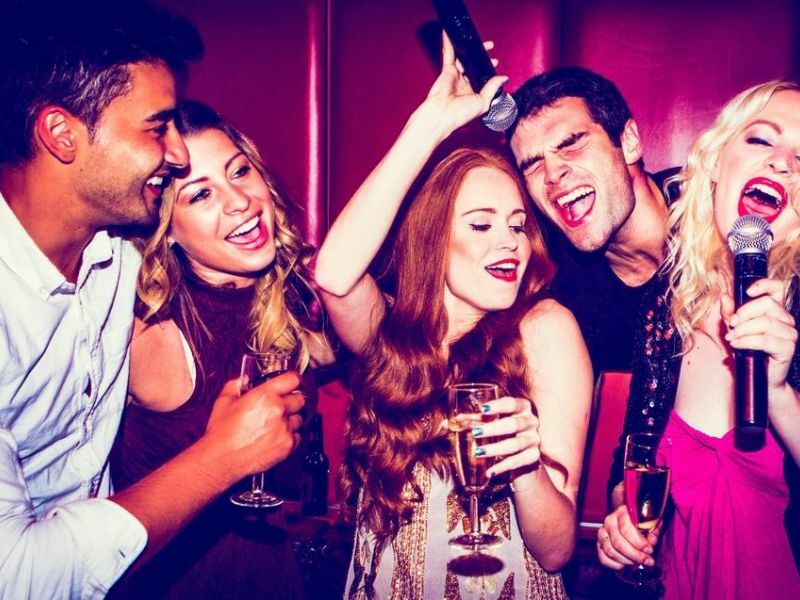 For the karaoke-lover in your life, a karaoke party is a great way to welcome their 30s. To have a great karaoke party, you need to start with some essentials. You will need the following materials: a karaoke machine with microphones, a sound system, a karaoke sound mixer, and fun lighting. Make sure that you tell your neighbors that you intend to have a karaoke party, have a tripod ready to take quality pictures, schedule the party on the weekend, and do a pilot test to make sure all of the equipment works. Lastly, have cleaning supplies ready in case all of the excitement causes a few mishaps during the party. When the party starts, have plenty of alcoholic drinks for the guests. Even the most confident singer may need a little courage before performing! Turn the lighting on at the start of the party to get guests in the mood. Lastly, serve all of the food and drinks in plastic cups to prevent any inconvenience from broken dishes. If you follow the steps above, you will be sure to have a fun and enjoyable karaoke party. A bowling party is one of the most popular 30th birthday ideas. Many people like to bowl, so it is sure to be a crowd-pleaser. Unless you have a bowling alley at home, most likely the party will take place at an outside bowling alley. There are important pointers to consider when having the party at a bowling alley. First, make sure to reserve a certain number of lanes before the party. To reserve the right number of lanes, ask guests to RSVP by a specific date so you can be sure that you have enough lanes for the guests. A good rule of thumb is to have four people per lane. That way, nobody gets too bored or distracted while waiting for their turn. Also, if you would like to add a party room after bowling, when reserving the room, make sure you know what is included in case you need to bring decorations. If you purchased a package that includes food, and you would like to supplement some of the food with healthier options or a birthday cake, ask the bowling alley if that's an option for you. If healthy food is important and it's not a service that the bowling alley provides, you may want to consider bringing additional healthy food for the health-conscious guests. Lastly, if you want to add a theme to the party, such as cosmic bowling or extreme bowling, ask if it's available and schedule your party accordingly. With proper planning, you can throw a perfect bowling party for the 30-year-old in your life. A backyard barbecue is a popular choice when choosing 30th birthday ideas. 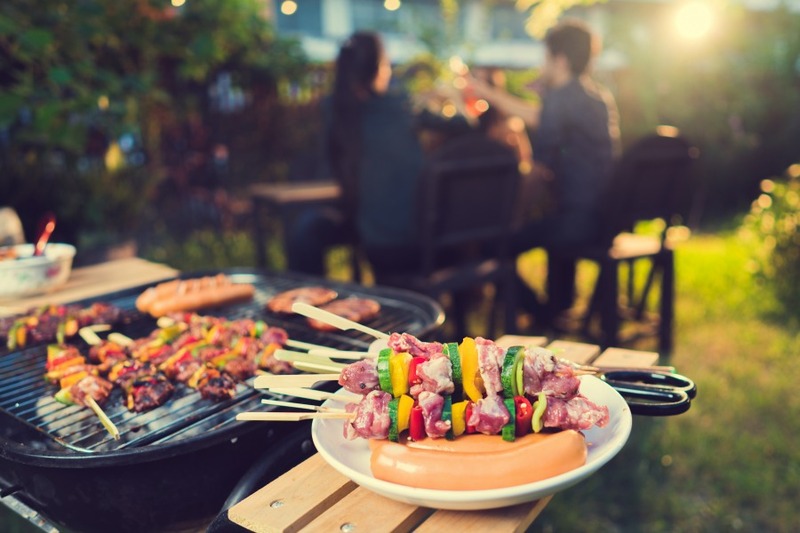 To host a successful barbecue party, you need to first consider the essential ingredients: food, appetizers, drinks, utensils, and music. Some foods to consider are hamburgers, hot dogs, chicken skewers, and veggie skewers for the main course. You might consider veggie platters and chips for appetizers, and cookies or brownies for dessert. For the drinks, have soda, wine, and beer. Also, make sure you have enough paper plates, paper cups, forks, knives, and napkins. Lastly, play music in the background. A nice touch is if you play the guest of honor's favorite music. 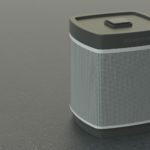 A Bluetooth speaker or another type of audio setup is all you need for quality sound while the music plays. Before the party starts, some details are important to check off to make sure the barbecue is a success. First, plan the food according to your guest's needs. For example, if you have vegetarians or vegans attending, or guests with other dietary restrictions, make sure there are enough options for them. Next, decide when and where to have the party according to the number of guests and whether or not guests have kids. If a small crowd is attending, you may want to consider having the barbecue at an apartment terrace or other small space if it's accessible. The barbecue will be fun either way! The best days to have a barbecue are Friday, Saturday, or Sunday. For guests with kids, the best times are 4 p.m. to 8 p.m. or 11 a.m. to 3 p.m. However, since it is a birthday party, the final decision rests on the guest of honor and his or her preference. If you pay attention to the above details, you will have a barbecue party that everyone will enjoy. A garden party is a more creative way to enter the 30s, and an excellent pick out of the 30th birthday ideas. This party is for the lover of the "secret garden" theme. To pull off a great garden party, you will need to do some planning, add essential ingredients, and pay attention to detail. First, the essential components are invitations, drinks, and food. Start with an ornate key as the invitation. Then add a small tag to the key that has all the party details. Next, place the invitation in a nice mailer, and mail them out to the invitees. You may want to add some grass-scented perfume to the invitation for a nice touch. Since the party has a garden theme, some great food ideas for the starters are goat cheese with wild thyme, marigold flowers, and rose hip vinaigrette, or cream of pumpkin soup with sage, organic seeds, and nuts. Some main courses to choose from are roasted loin of lamb glazed with rose petal jam, butternut squash, and vegetables. For the vegetarians, serve butternut squash souffle with goat cheese and lavender cream sauce. Finally, for dessert, some ideas are blackberry and apple crumble with lavender ice cream or poached jasmine pear with chocolate sauce. Plus, you can always choose your own food. Make sure it goes with the garden theme. You can either add ingredients from the garden such as flowers or add foods that have garden scents. A perfect compliment to the garden-themed foods are the drinks. Some drinks to choose from are a pear and rosemary cocktail, lavender martini, butterfly cocktail, and garden elixir. Lastly, you may want to decorate the food in a garden theme as well. Some ideas are decorating the trays and dishes with flowers, plants, or herbs, or possibly serving the food in planters, seedboxes, or flowers pots. Either way, if you focus on creative food, drinks, and invitations, you are sure to pull off an excellent garden party for the secret garden fan in your life. An excellent choice of 30th birthday ideas is a wine-tasting party. First of all, you don't have to be a wine expert to throw a wine-tasting party. The most important goals for this party are to have fun and enjoy wine. When throwing a wine-tasting party, consider the theme, food, and, of course, the wine. To make the party more interesting, add a theme to it, such as blind tastings, regular tastings, or wine and chocolate pairings. The theme you choose will determine the wine you have at the party. 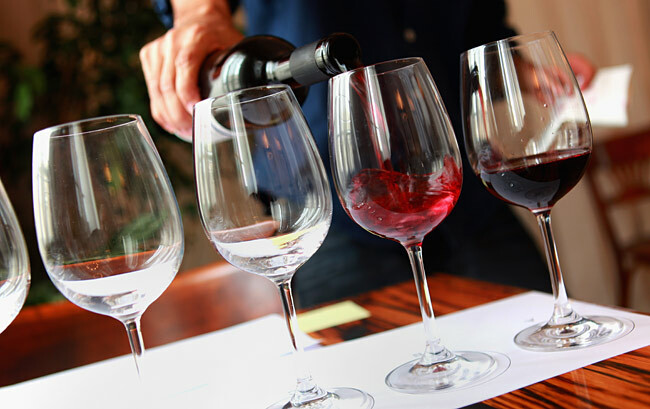 For example, if you are hosting a blind tasting, you will want to compare the different types of grapes. Therefore, the best wines are Chardonnay, Pinot Grigio, Shiraz, and Pinot Noir. When choosing the food to go with the wine, pick foods that don't have a strong flavor. For example, stay away from olives, cheese, or anything with a chili flavor. For a more laid-back party, pair a complimentary appetizer with the wine. However, for a seated dinner, you may want to pair a different wine with each course. As long as you have an excellent variety of wine and food to go around, with some preparation, you can have an enjoyable wine-tasting party. A flashback party can be one of the top picks out of the 30th birthday ideas. If the guest of honor has a favorite decade, plan the party based on the decade of their choice. 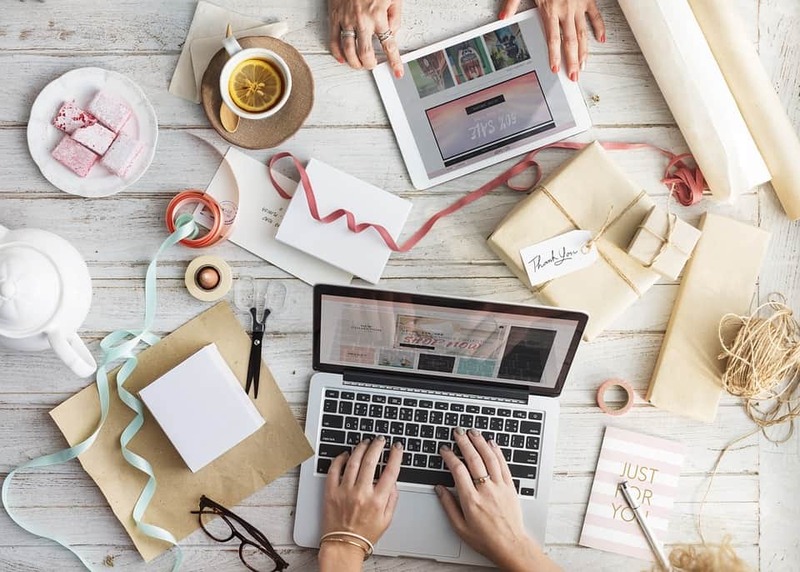 There are a few things that are necessary when throwing this party: movies, music, makeup and nails, clothing, decorations, food, parting gifts, and invitations. First, make sure you watch a few movies from the era. If the party doesn't allow for movie watching, perhaps have the movies playing in the background. Next, play music from the decade. Then choose the right clothing for the decade. For example, if you choose the '80s, everyone will wear themed clothes such as oversized sweatshirts, bright colors, and leg warmers. Next, you want to choose the right hairstyle for the decade. For example, if you choose the '60s, you can choose from hairstyles such as the beehive, flipped bob, or hippie hair. For the women, wear your makeup and do your nails according to the decade. Men can do this too, if they want. One creative idea is to have the guests bring their favorite food from the decade to share with everyone. Also, decorate according to the decade. For example, if it's a '40s party, you may want to have a root beer float bar, a jukebox, and black and gold balloons. Lastly, design parting gifts and invitations based on the theme. 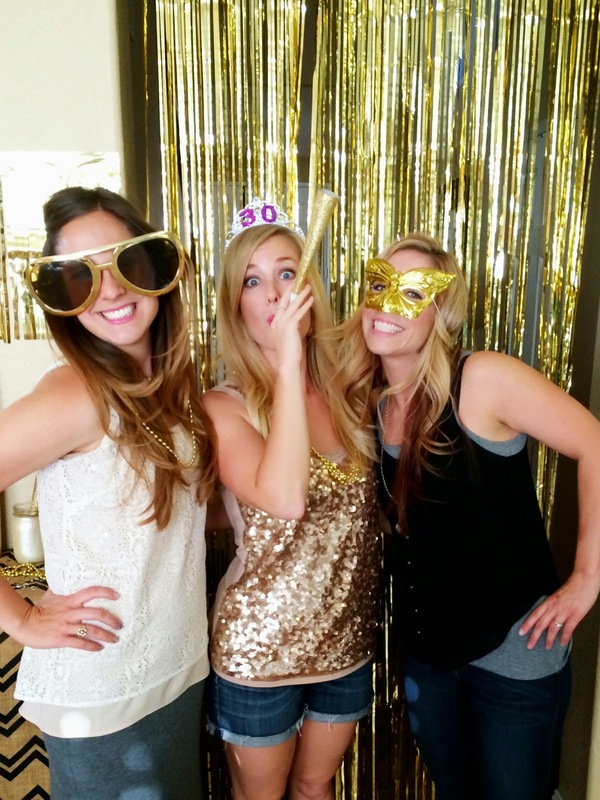 A flashback party is sure to be a hit for a 30th birthday party. For the food-lover in your life, a birthday brunch is a great idea when choosing 30th birthday ideas. The guest of honor can pick their favorite food and drinks, and the entire party is, of course, planned around the food. Once you select the food and beverages, there are some great tips on how to throw a stress-free birthday brunch. First, make your preparations ahead of time, and mix a lot of different dishes. For example, have a mix of sweet and savory items. One example is muffins and scones with casseroles and egg dishes. Next, cook the food ahead of time and then keep it warm. This way you're not preparing the food at the last minute. Also, get creative with the drinks. Besides the usual mimosas, you can have drinks such as lemon martinis or a Bloody Maria. Mix it up! Next, set up a self-service bar so that guests can serve themselves. If children are on the guest list, have simple breakfast items for them such as cereal and toast. Also, you can find out what the guest of honor's favorite flowers are and make a centerpiece based on them. Lastly, consider setting up the party the night before, so you don't have to prepare in the morning. With some planning and preparation, a birthday brunch is an excellent way to celebrate the 30-year-old in your life. Sometimes you need to remind your loved one that even though he or she is entering their 30s, they are still golden. 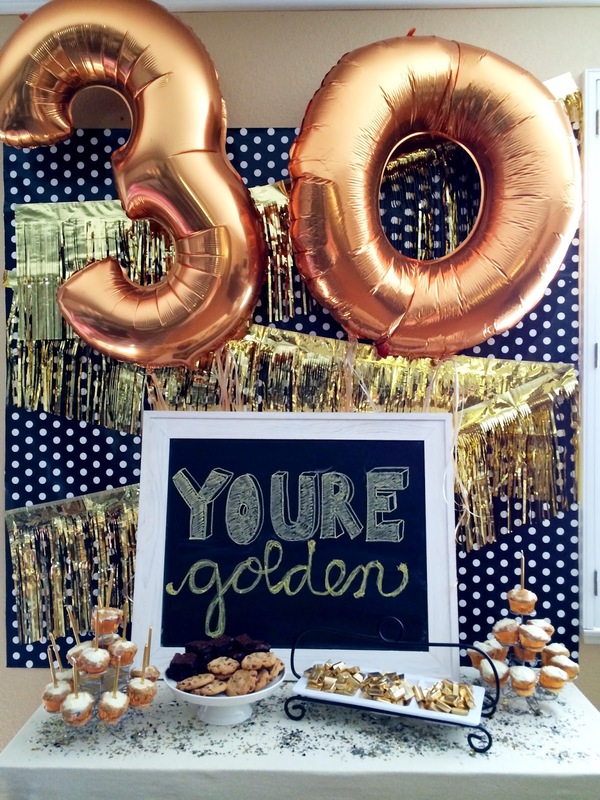 This is why a "You're Golden" themed birthday party is a great choice of possible 30th birthday ideas. The idea of this party is to have everything at the party golden, including the food and decorations. The most important details for this party are the food, decorations, and accessories. Some ideas for "golden" food are "golden" cupcakes, a golden cake, and candy with gold-colored wrappers. A great idea for "golden" cupcakes is to make banana cupcakes with cream cheese frosting, then add golden sprinkles to them. For the "golden" cake, make a golden vanilla cake with chocolate frosting, then add golden sprinkles to the top of the cake. The center of a "you're golden" party is definitely the decorations. Have golden balloons shaped in the number 30, a gold foil fringe curtain, golden table confetti, and golden hanging paper dots. Furthermore, add golden accessories that the guests can wear, such as golden masks and golden sunglasses. With the right food, decorations, and accessories, your guests will feel like they entered a golden home. and the guest of honor will feel like royalty. It's been 10 years, and I still remember the impromptu dance at the Hawaiian-themed restaurant. A big reason for this was not only that moment but the overall fact that my husband planned a perfect 30th birthday party for me. He picked the right theme, location, food and drinks, and music. Because of his planning, I was happy and had a memorable 30th birthday party. If you choose an idea that will make them feel happy and special, you will never go wrong.